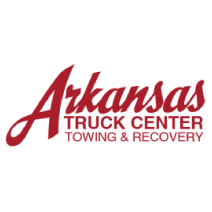 SURPLUS NEW - NEVER USED- * EXCHANGE WITH ONE YEAR PARTS WARRANTY PLUS FREIGHT AND $2,000.00 REFUNDABLE CORE DEPOSIT. IN PROCESS TO SWAP PARTS TO OUR REMAN FOR QUOTE #4591. PREMIUM REMANUFACTURED COMPLETE ENGINE WITH ONE YEAR PARTS WARRANTY * EXCHANGE PLUS FREIGHT AND $2,000.00* REFUNDABLE CORE DEPOSIT, SUBJECT TO AVAILABILITY. .OFF ROAD APPLICATION ** BUILT TO YOUR SERIAL# LIKE 4TF OR 98Z AND ARRANGEMENT#** *DITA ADD$1,000.00 SEE PICTURE* ALTERNATOR, STARTER & FLYWHEEL NOT INCLUDED ALL NEW PARTS, INCLUDING BORING CYLINDERS AND BRING BLOCK BACK TO STANDARD NEW SLEEVES AND MILLING HEAD ADDING NEW VALVES AND VALVE GUIDES. 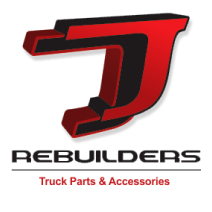 *ALL OF OUR REMANUFACTURED ENGINES INCLUDE NEW TURBO, WATER PUMP, OIL PUMP, OIL COOLER ELEMENT, FILTERS AND, REBUILT INJECTORS & PUMP, EXCEPT IF NOTED. ALL ARE DYNO TESTED. OUR REMANUFACTURED ENGINES MEET OR EXCEED OEM SPECIFICATIONS AND ARE BUILT TO THE ORIGINAL MODEL CERTIFICATION. .* ALTERNATOR, STARTER & FLYWHEEL NOT INCLUDED. *EXPORT WARRANTY IS LIMITED TO ONE YEAR PARTS ONLY,CAN BE SOLD OUTRIGHT NO CORE RETURN REQUIRED ASK FOR DETAILS. (Good Used) GMC C7500 Truck with Caterpillar 3116 Diesel Engine (RUNS PERFECT) 224K Miles, Includes 2400 Gal Propane Tank, Hose and PTO Driven Pump, Air Brakes, Air Drivers Seat, GVWR 32,000, Tool Box, Runs Great and Ready to Work! Call for more info PH# 800-696-5459, Stock# 217700-124. (USED REMAN) Caterpillar 3116 Diesel Truck Engine For Sale! (Mechanical Fuel Pump) 215 HP @ 2600 RPM, 6.6L, Ar # 10R3080, Perf Spec 0K6709, Serial # 7HJ13340 CALL FOR MORE INFORMATION! ENGINES ARE TESTED and INSPECTED! 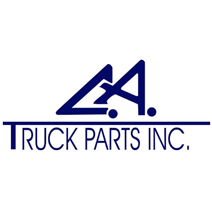 For SHIPPING QUOTE, INVOICING, and MORE ENGINE INFORMATION CALL (305)688-1101 - CA Truck Parts, Inc.